Want to make air-popped corn at home like a pro? 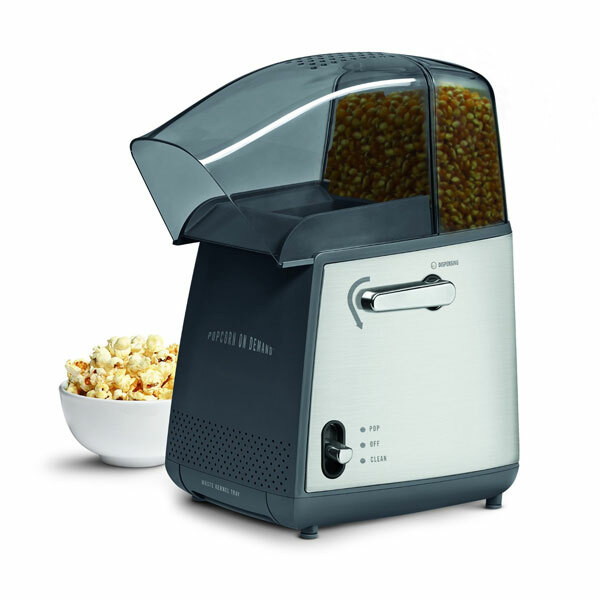 The West Bend Hot Air Popcorn Popper has you covered. 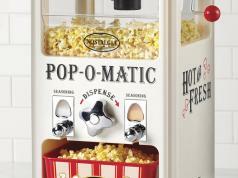 You get to store popcorn kernels in a compartment, allowing you to dispense the right portion before popping. Just press the chrome lever to dispense the right amount of popcorn. 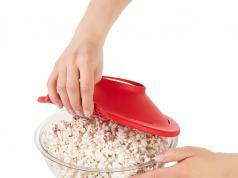 The device features a cleaning cycle to move unpopped kernels into a removable drawer. Costs under $80 at this time.